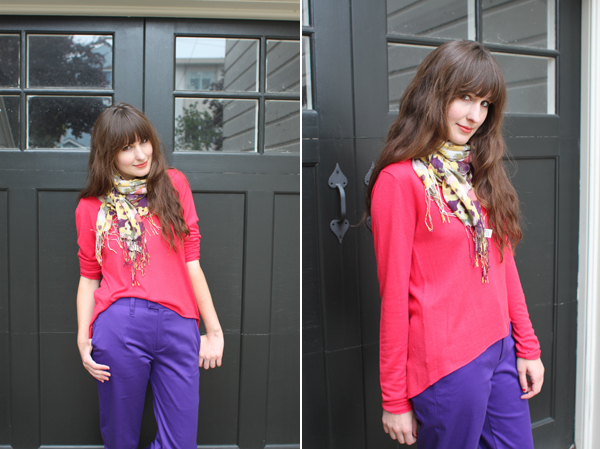 A bold combination: we love this bright pink paired with DEMA's Rockstar Pants. 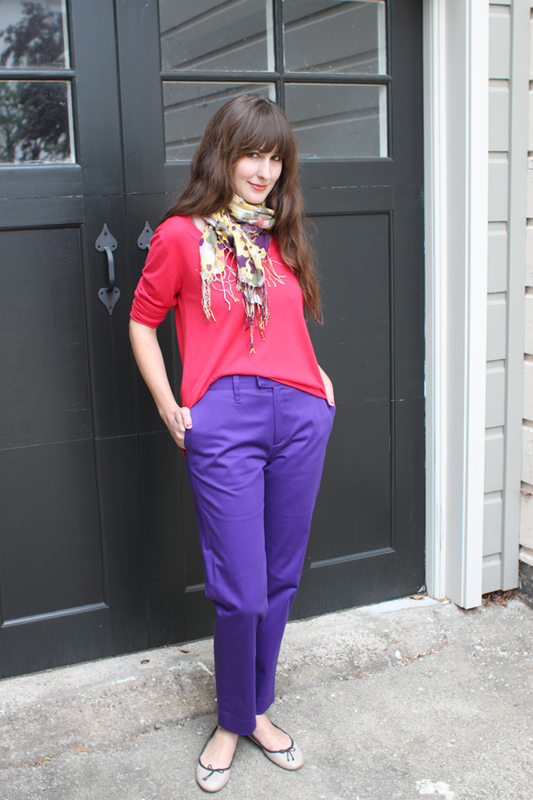 We also have these pants in a more subtle charcoal gray pinstripe. 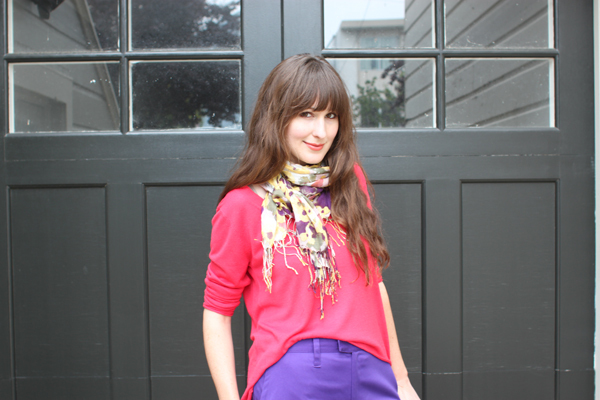 Worn with a slouchy sweater and printed scarf it's the ultimate San Francisco Summer look!